The common garden sage has been used for culinary and herbal purposes for centuries. Sage is popular in nearly every European cuisine and is used variously to flavor meats, poultry, soups, puddings, cheeses and vegetables. The common garden sage has been known and used for culinary and herbal purposes for centuries. The low-growing evergreen shrub is popular in nearly every European cuisine and is used variously to flavor meats, poultry, soups, puddings, cheeses and vegetables. Its unmistakable peppery flavor makes it popular for use in poultry and pork stuffing, and to flavor and preserve sausage meats. "Why should a man die when sage grows in his garden?" Martin Luther is said to have asked in the middle ages, and his statement is reflected in the herb's Latin name salvia, derived from the Latin word to heal. Dried or fresh leaves in food, and as a tea. Sometimes found in washes and cosmetics. 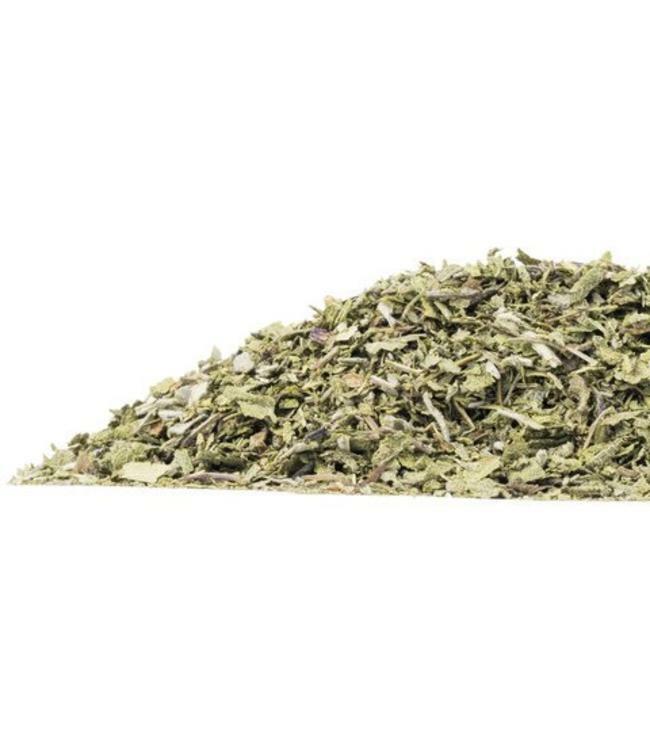 One of the more popular herbs in the Middle Ages through 18th century, sage has drifted into lesser use as more delicate flavors grew more popular. The evergreen herb is enjoying a resurgence of late, in part based on its many uses and benefits. Sage can be used to flavor and preserve nearly any meat or cheese, and is often used in soups and salads as well. Specific: If consumption exceeds use as a spice then not for use in pregnancy or breastfeeding except under the supervision of a qualified healthcare practitioner.